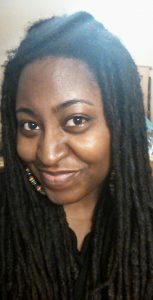 My name is Yecheilyah (e-see-lee-yah) Ysrayl (yis-ra-yl) and I’m a 29 year old native of Chicago, IL. I grew up on the south side of The Windy City and with the exception of a brief move to Milwaukee at age ten, spent most of my life there. After High School I attended Everest College and Chicago State University where I met my husband. In 2009 we moved to Shreveport, LA where I now reside. No, I have no pets at this time. See, what had happened was (lol), in 2007 I fell in love with dogs. We got this amazing puppy who we absolutely adored, a rottweiler we named Lady. This dog nurtured my love for dogs since I’ve never had one as a pet. Sadly however, Lady died shortly after the move and since then my husband and I have always had a dog running around somewhere. Well, except for now. Since moving from the house to an apartment we do not currently own any pets. I do plan to get some fish though. Oh, and definitely a dog once we find another house because I believe dogs belong outside. Not sleeping on my carpet. Sorry buddy. When did I first realize my fascination with books? That’s a great question. It’s hard to pinpoint when I fell in love with books (which came before I actually started to write things down). It seems that I’ve always loved to read and I started writing at age twelve when my twin sister and I went to live with our father. You see we moved around a lot and changed schools probably more than you change your draws lol. I’ve been to eight or nine different schools before High School and we were always sleeping on someones couch, pallet or shelter bed. Nonetheless, I suppose having a place to finally call home, a place where we could rest a while helped trigger me to write things down that I was feeling. This wasn’t the same time I fell in love with writing though, just when I started writing. You see, these are two separate occasions. I was twelve when I started writing but I didn’t really fall in love with it until High School. It was freshman year and Mr. Clark’s vocabulary words had me open! I did more than look up the definitions of words, I devoured them. I used the words in sentences and wrote poems about them. Since then I’ve been head over heels in love with the written (and spoken) word. I’m really into African American Literature. I absolutely love Historical Fiction or fiction that deals with some kind of historical context and I do believe it is why I write in the same way. Some of my favorite authors are those of some of the most famous black literature you’d find: Bernice McFadden, Richard Wright, James Baldwin, Terry McMillan, Toni Morrison, Zora Neale Hurston, Maya Angelou, Harriet Washington…I could probably go on forever! In addition, I enjoy slave narratives, and anthologies. I also enjoy books written by non-blacks that deal with the complexities of race and identity in general, such as Walter Johnson, author of Soul by Soul, Life Inside the Antebellum Slave Market. My latest book is a trilogy that focuses on the history of one family in their struggle for racial identity. Surrounding the family lineage of a young woman named Stella, each book covers the life of three different people living in three separate time periods who strive to overcome the same struggles, carefully knit together by the same blood. In book one, Stella Mae is a slave on Paul Saddler’s Plantation. Having grown up under the close watch of her mother and the other field hands, Stella is unaware of the rigors of this institution until Mama dies and she falls into the cruel hands of her master. Here, we encounter some of the heart wrenching details of the enslaved through the eyes of young Stella. In book two, we are witness to the life of Stella’s great granddaughter whose name is also Stella. With blonde hair and hazel eyes this Stella is raised by her mother in the age of Jim Crow and is in a mental power struggle against who she is and who she desires to be. How does the biracial classify oneself? What do you do when you’re too light to be black and thus teased by members of your race and yet, too poor to be white? To better cope with her inner self Stella changes her name to Sidney McNair and decides to live her life as a white woman. In book three, Sidney’s son Joseph is on a quest for freedom. Raised white, Joseph rebels against the treatment of Black America. His desire for the race seeps into his mother’s home and leads to a fist fight with his brother Edward. If Joseph is the black version of mixed blood, Eddy is the white young man he was raised to be. Both men are under the impression they are white men but Joseph’s passion for the black race is a thirst that can’t be quenched sitting down. He decides to attempt to join the SNCC organization, The Student Non-Violent Coordinating Committee. As a consequence, he and his opposing brother Eddy come to blows in their mother’s living room, causing young Jo to abandon home. The Road to Freedom, book three in this series, explores Joseph’s journey to self-discovery at the height of The Civil Rights Movement. My inspiration for this series began about five years ago as an English teacher for a home school program. I was introducing my students to black literature and I wanted them to explore certain times in history that I knew was important to any young black person growing up in America. I gave them a simple assignment: Write me a one page story about some time in history. This could be the civil rights movement, slavery, whatever. Well, to help ease them into the comfort level it took to produce such a task, I told them that I will do the assignment as well. That was pretty much it. I took the paper and used it as the teaching tool that it was and stored it away in my archives. This resulted in the opening chapter of the first book in The Stella Trilogy. It wasn’t until about four years later that I revisited the paper and the idea came to me to turn it into a book. I’ve always wanted to write a story about black history and just then it occurred to me that I needed to write in the way that I read. I needed to write my passion and so began my journey. Immediately, I knew I wanted to make multiple parts to this story. A short series, these books are all less than one hundred pages long and took me only about six months to write each book, about 18 months or a little over a year for the entire project. I’ve never written a book that fast! Even my poetry books took longer to conceptualize. With Stella it was different. Stella was definitely meant to be. She tugged on me all day and all night. All I could think about was this slave girl. When I would sit down to write, the words really just poured onto the page. In the end I think I amazed myself. I didn’t have to do much thinking and writer’s block didn’t live here! Each book came effortlessly. The Stella Trilogy was meant to be.